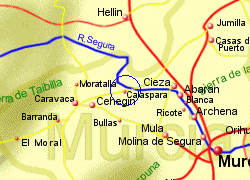 Situated where two rivers feed into the River Segura, Calasparra has become well known for the rice grown there, irrigated of course by these rivers. 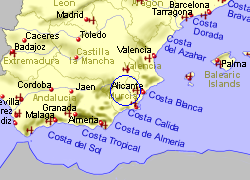 The town has plenty of history, and not just from the time of the Moors, who introduced the rice growing, but also the Iberians and Romans. It is a pleasant town with a selection of bars and restuarants offering pavement dining. 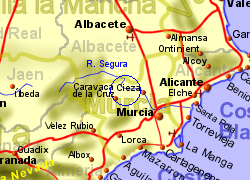 Map of the Calasparra area.